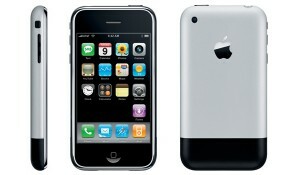 In 2007, RIM, makers of the Blackberry, reportedly had an internal panic when Apple released the first iPhone. The story comes from a former RIM employee. Apparently RIM held multiple meetings after the iPhone was launched and accused Apple of lying about the capabilities of the new device. The claims focused on how it was impossible that a device with such a larger touch display could have any usable battery life. Over the weekend, a Shacknews poster revealed that former RIM colleagues had internal discussions that the iPhone “couldn’t do what [Apple was] demonstrating without an insanely power hungry processor, it must have terrible battery life,”. Former Microsoft employees also indicate that Microsoft had similar reactions at the time. It’s believed that RIM, Motorola, Nokia, Palm and other device makers lost ground in innovation due to their self-defeating attitudes. A notable example of this is the Blackberry Storm, which started development after the iPhone, rather than before. The Storm was also RIM’s first touchscreen device but did not ship until almost two years after the original iPhone. The Storm also did not ship with multi-touch support or a fully accurate web browser until the Blackberry Torch was released this past summer. While RIM has promised a comeback in 2011, all we’ve heard thus far is news about the BlackBerry PlayBook, but anything beyond that is anyone’s guess.